1. Nomination papers must be delivered to the Returning Officer, 135 Eastern Avenue, Milton Park, Milton, Abingdon, Oxfordshire, OX14 4SB between 10 am and 4 pm on any working day from the date of publication of this notice (excluding bank holidays) but no later than 4 pm on Wednesday 3 April 2019. 2. Nomination papers for Parish Elections may be obtained from Clerks to Parish Councils or 135 Eastern Avenue, Milton Park, Milton, Abingdon, Oxfordshire, OX14 4SB from the Returning Officer during the times stated above. 3. If any election is contested the poll will take place on Thursday 2 May 2019. 5. Applications, amendments or cancellations of postal votes must reach the Electoral Registration Officer at 135 Eastern Avenue, Milton Park, Milton, Abingdon, Oxfordshire, OX14 4SB by 5 pm on Monday 15 April 2019. 6. Applications to vote by proxy at this election must reach the Electoral Registration Officer at 135 Eastern Avenue, Milton Park, Milton, Abingdon, Oxfordshire, OX14 4SB by 5 pm on Wednesday 24 April 2019. 7. 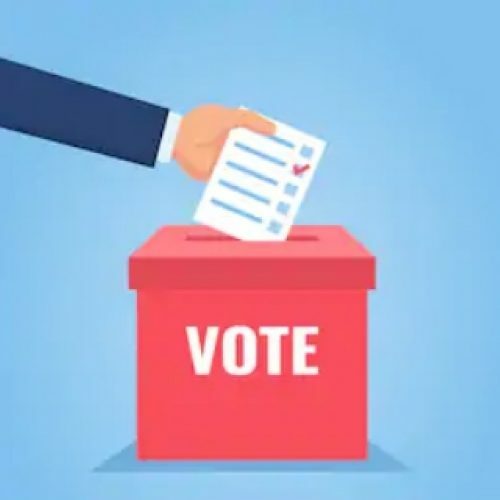 Applications to vote by emergency proxy at this election on grounds of physical incapacity or for work/service reasons must reach the Electoral Registration Officer at 135 Eastern Avenue, Milton Park, Milton, Abingdon, Oxfordshire, OX14 4SB by 5 pm on Thursday 2 May 2019. The physical incapacity must have occurred after 5 pm on Wednesday 24 April 2019. To apply on the grounds of work/service, the person must have become aware that they cannot go to the polling station in person after 5 pm on Wednesday 24 April 2019.